Johann Sebastian Bach. Born 1685 i Eisenach i Thüringen, dead 28. juli 1750 i Leipzig i Sachsen. Johann Sebastian Bach (31 March [O.S. 21 March] 1685 – 28 July 1750) was a German composer and musician of the Baroque period. He is known for instrumental compositions such as the Brandenburg Concertos and the Goldberg Variations, and vocal music such as the St Matthew Passion and the Mass in B minor. Since the 19th-century Bach Revival he has been generally regarded as one of the greatest composers of all time. The Bach family already counted several composers when Johann Sebastian was born as the last child of a city musician in Eisenach. Having become an orphan at age 10, he lived for five years with his eldest brother, after which he continued his musical formation in Lüneburg. From 1703 he was back in Thuringia, working as a musician for Protestant churches in Arnstadt and Mühlhausen and, for longer stretches of time, at courts in Weimar—where he expanded his repertoire for the organ—and Köthen—where he was mostly engaged with chamber music. From 1723 he was employed as Thomaskantor (cantor at St. Thomas) in Leipzig. He composed music for the principal Lutheran churches of the city, and for its university's student ensemble Collegium Musicum. From 1726 he published some of his keyboard and organ music. In Leipzig, as had happened in some of his earlier positions, he had a difficult relation with his employer, a situation that was little remedied when he was granted the title of court composer by the Elector of Saxony and King of Poland in 1736. In the last decades of his life he reworked and extended many of his earlier compositions. He died of complications after eye surgery in 1750. Bach enriched established German styles through his mastery of counterpoint, harmonic and motivic organisation, and his adaptation of rhythms, forms, and textures from abroad, particularly from Italy and France. Bach's compositions include hundreds of cantatas, both sacred and secular. He composed Latin church music, Passions, oratorios and motets. He often adopted Lutheran hymns, not only in his larger vocal works, but for instance also in his four-part chorales and his sacred songs. He wrote extensively for organ and for other keyboard instruments. He composed concertos, for instance for violin and for harpsichord, and suites, as chamber music as well as for orchestra. Many of his works employ the genres of canon and fugue. 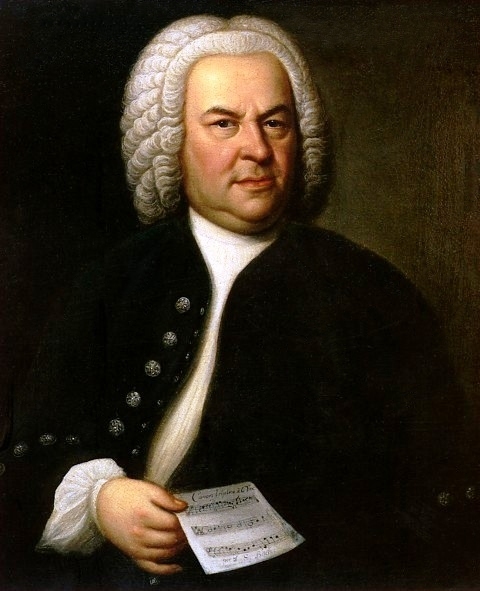 Throughout the 18th century Bach was primarily valued as an organist, while his keyboard music, such as The Well-Tempered Clavier, was appreciated for its didactic qualities. The 19th century saw the publication of some major Bach biographies, and by the end of that century all of his known music had been printed. Dissemination of scholarship on the composer continued through periodicals and websites exclusively devoted to him, and other publications such as the Bach-Werke-Verzeichnis (BWV, a numbered catalogue of his works) and new critical editions of his compositions. His music was further popularised through a multitude of arrangements, including for instance the Air on the G String, and of recordings, for instance three different box sets with complete performances of the composer's oeuvre marking the 250th anniversary of his death.